“A fusion of the virtual and real world” . Through extensive knowledge and know how gained with blue chip organizations and their global operations, we understand our customers core product and goals, these are in essence the building blocks for a virtual success. Our team of experts operates with a winning attitude and always strives for “poll position”, delivering unique and bespoke solutions and ideas that will captivate the minds of your audience. 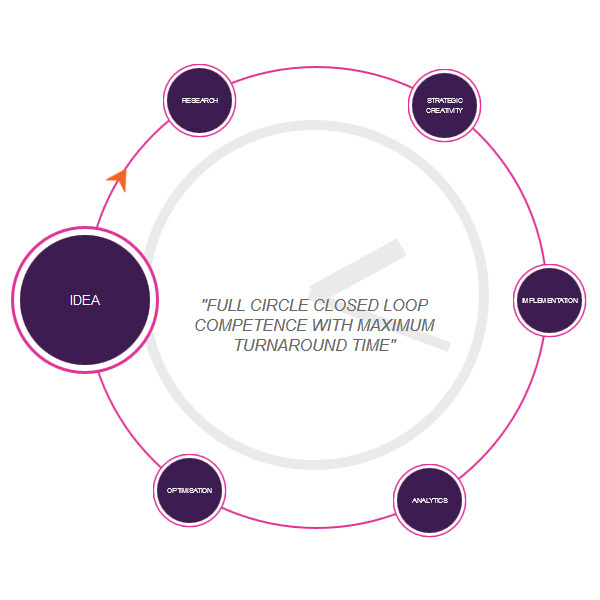 "Full circle closed loop competence with maximum turnaround time"